Father Michael McGivney Catholic Academy held a special blessing Mass to celebrate its 25th Anniversary on Wednesday, December 7, 2016. His Eminence Cardinal Thomas Collins celebrated Mass in the school’s gym; it was the first time the Cardinal had visited the South Markham school. Following mass, local dignitaries including the school trustee, Marlene Mogado, Director of Education, Patricia Preston, Mayor of Markham, Frank Scarpitti, as well as the school’s Principal, Joel Chiutsi spoke to students and staff. Mayor Scarpitti, along with Deputy Mayor Jack Heath also presented Mr. Chiutsi, with a commemorative plaque. Numerous other special guests including Superintendent of Education, Ron Crocco, representatives from various unions, and former school administrators and staff also attended the celebratory mass. The St. John Paul II Assembly of the Knights of Columbus provided an honour guard for the Cardinal and special guests, which was especially fitting as Venerable Michael J. McGivney, the school’s namesake, founded the Knights of Columbus in 1882. The Knights of Columbus is the largest Catholic fraternal service organization in the world. Venerable Michael J. McGivney created it for the purposes of providing mutual aid and support, particularly for immigrants and their families who were new to America. The school’s band and choir also performed during the mass and many other staff and students delivered readings during the mass. Following Mass, a small luncheon was held for the many special guests who were visiting the high school. Many McGivney students assisted, including Grade 12 student and Student Council President, Richards Alexander. 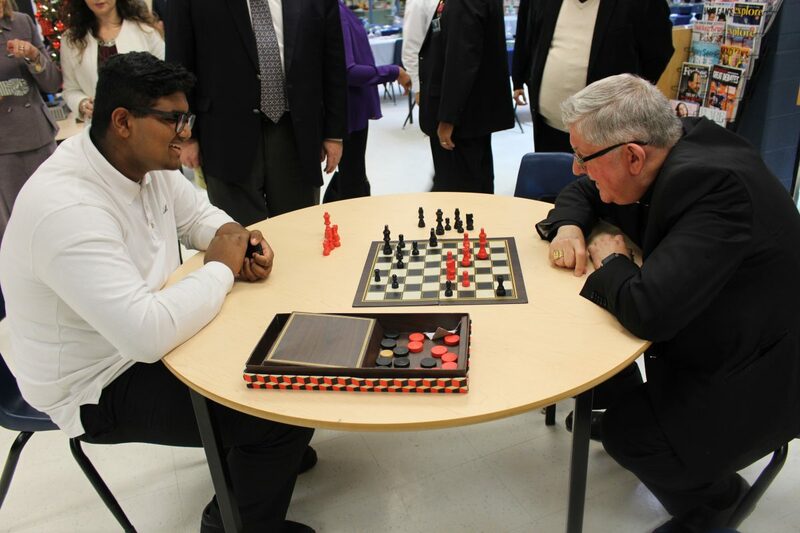 Before the special guests arrived for the luncheon, Richards was asked to “greet Cardinal Collins and keep him entertained.” Richard succeeded in his duty; for when the other the luncheon participants arrived they were surprised to see Richards playing an intense game of chess with the Cardinal, which lasted well over a half hour. Before lunch, a small recognition ceremony was held for three founding staff members who continue to serve the Father Michael McGivney school community today. 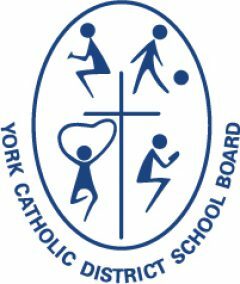 Catholic School Council Chair, Richard Ramsoomair, presented the founding staff members, Ms. Adele Castriota, Mr. Vivek Naidoo, and Mr. John Morelli with a plaque. The Markham high school is planning to host additional 25th anniversary celebrations that former staff, alumni and the entire McGivney community will be invited to in the spring.